Kidney stones are no joke. These are mineral crystallizations that can form inside the kidney and require dangerous surgery to remove. Many people will choose surgery over opting to pass the stones however, which is infamous for being one of the most painful things you can go through. Kidney stones are very painful then and are increasingly on the rise with around one million Americans developing the condition each year. Worse news, is that once you have your first incidence of kidney stones, you are then 70-80% more likely to have a recurrence. The good news? Preventing kidney stones from ever arising in the first place is actually fairly simple. 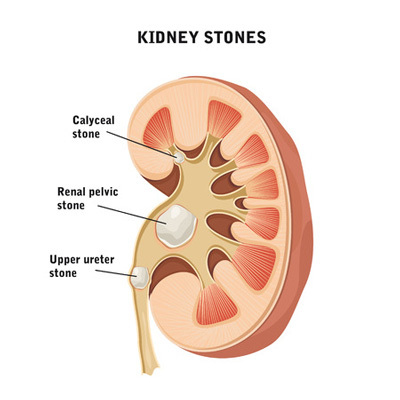 Kidney stones are formed as the result of imbalanced mineral ions in the urine. In most people, compounds that occur naturally in the urine should prevent this from happening. However, when the amount of crystal-forming substances starts to overpower these compounds, that’s when problems start to arise. The following tips will help you to avoid this fate through simple-yet- effective measures. Read on to keep your kidneys safe and healthy! The single most effective way to reduce your likelihood of getting kidney stones is to drink more water. Chronic dehydration is the number one risk factor for kidney stones as it simply means the concentrations of mineral substances become higher in the urine. Unfortunately, the vast majority of the population does not drink enough water, so make this change to your lifestyle fast if you’re among those who aren’t getting enough! Magnesium plays a number of important roles in the body and is responsible for over 300 biochemical reactions. Deficiencies have been linked to kidney stones, potentially due to the mineral’s role in helping the body to absorb and utilize calcium. Sweating is normal and to be encouraged but if you sweat too much, then you can end up causing an imbalance of mineral ions. If you’re partial to a bit of ‘hot yoga’ for instance, you can end up losing enough water to trigger a build-up of stone-causing minerals in the kidneys that may then end up bonding together. Oxalate is a lesser-known substance found in a range of different foods including numerous fruits, vegetables, nuts and legumes. Oxalate rich foods are sometimes blamed for calcium oxalate stones. However, the problem is not the oxalate itself as this is actually an important nutrient. Rather, you should aim to consume calcium and oxalate rich foods together. This will encourage them to bind to one another in the stomach and intestines before they reach the kidneys – thereby actually preventing stones from forming in the kidneys.